wedding dreams, celebrating their love, with their loved ones. Intricate details in luxurious letterpress. 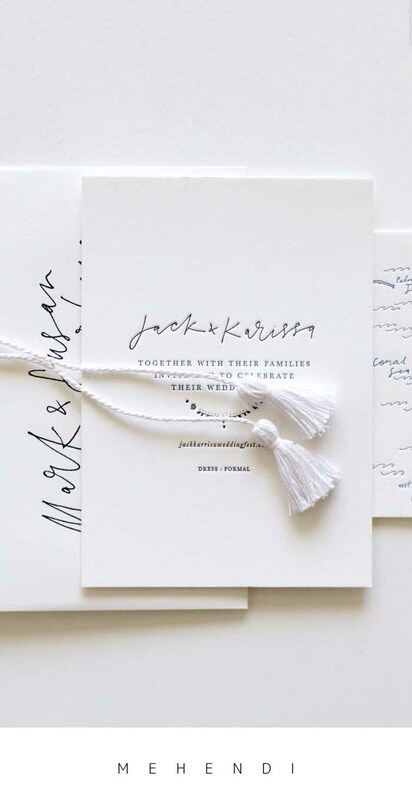 Hand crafting and letterpress printing luxury stationery and wedding invitations with a distinct Bohemian Luxe style has been our specialty since we started our studio years ago. All of the designs in our collection can be applied to Engagement invitations, Save the Dates, RSVP cards or postcards, Info cards, Details Cards and our famous hand illustrated Custom Maps. Our designs can also be carried through to the main event, for Welcome Signs, Seating Charts, Menus, Place Cards, and any custom signage you’ve been dreaming of. Just get in touch to discuss! custom letterpress ink colour, and optional add on's. Our offerings of digitally printed designs have been created to suit quick turn arounds and petite budgets. See the full, newly released collection here.